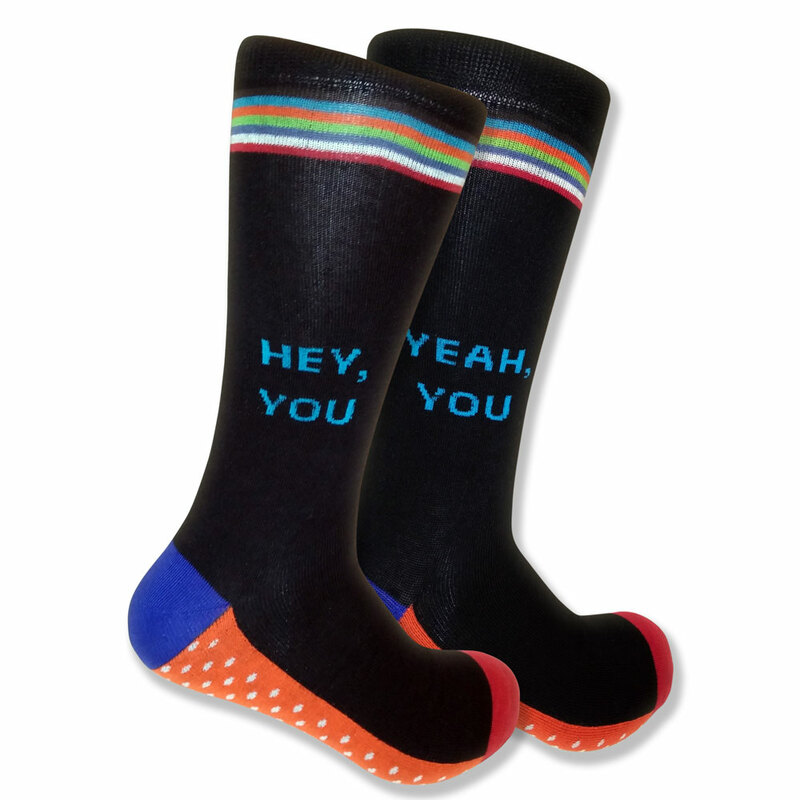 Mismatched socks are a fashion trend that has quickly been growing in popularity, and there’s no wonder why! These black & blue novelty socks make an awesome combination. They are full of personality and perfect for the guy who enjoys the beauty in the chaos of clothing that doesn’t perfectly match. Whether your going to the gym, to walk the dog, or just hanging out around the house, these socks are cozy and in trend!